1950 Cadillac Series 62 Convertible, drives great! TRADES/OFFERS? 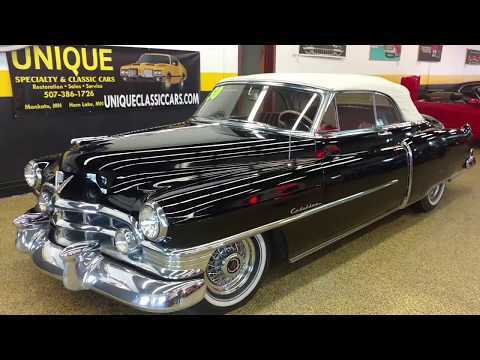 Take a look at this classic 1950 Cadillac Series 62 Convertible! This car absolutely runs and drives great! This car is somewhat of a survivor that still looks great! The power top goes up and down as it should, as do all of the windows as well! VERY solid car with no major rust issues at all! This car was in the previous family for over 25 years! As you can see the car looks great, but of course it does show its age in places as well and you will be able to see that in the pictures as well. Any other questions, please email or call 507-386-1726. TRADES AND OFFERS CONSIDERED!